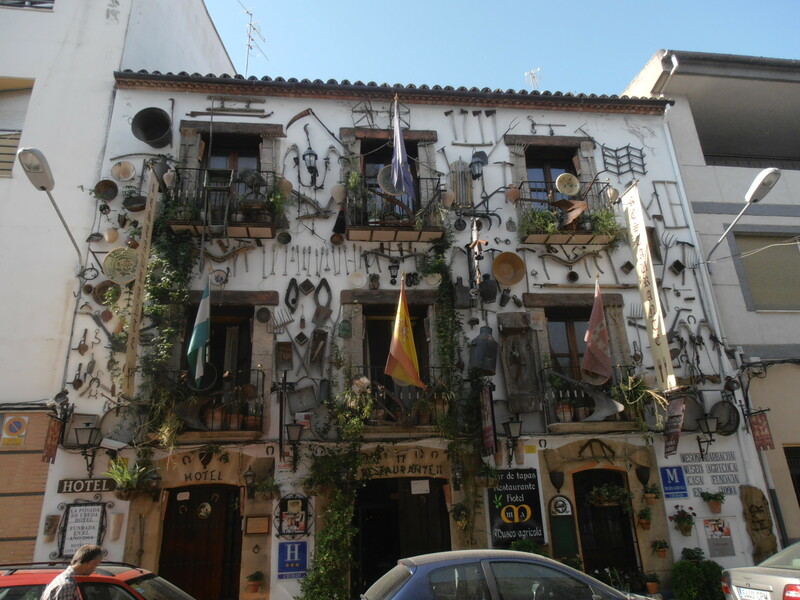 The Posada de Ubeda also known as the Museo de Agricola or Agricultural Museum is a wonderfully quirky hotel just two minutes walk from Ubeda’s main monumental Plaza. Crammed full with every ancient piece of machinery and tool you can imagine and many that you won’t even begin to fathom what they were for. The dark hallway and cozy reception desk lead up the well-adorned staircase (there’s also a lift) to just six rooms. It’s delightful in being unusual but not over the top in comfort. 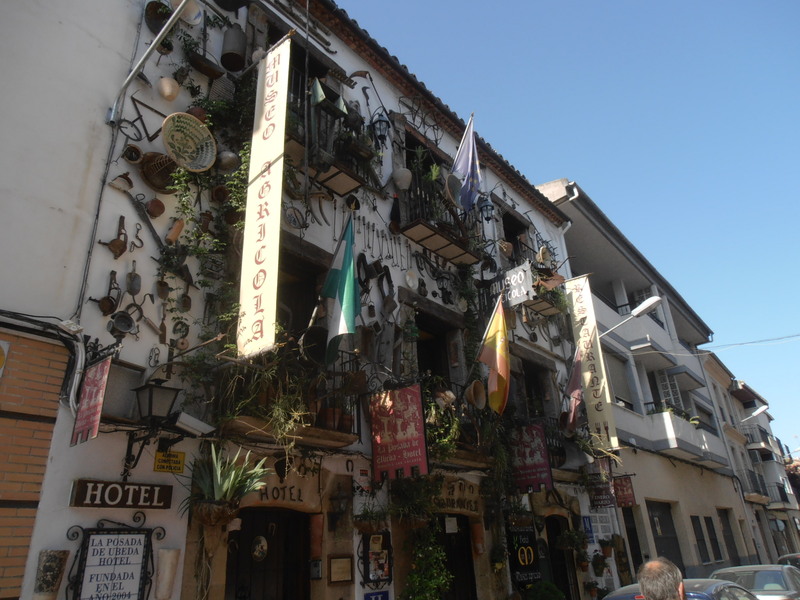 Four star it isn’t, but a quaint, friendly must-see hotel and a good base to explore Ubeda and Baeza it certainly is. Or just pop into the bar for a drink and an eye-opener, I’m sure you’ll say ‘wow’. 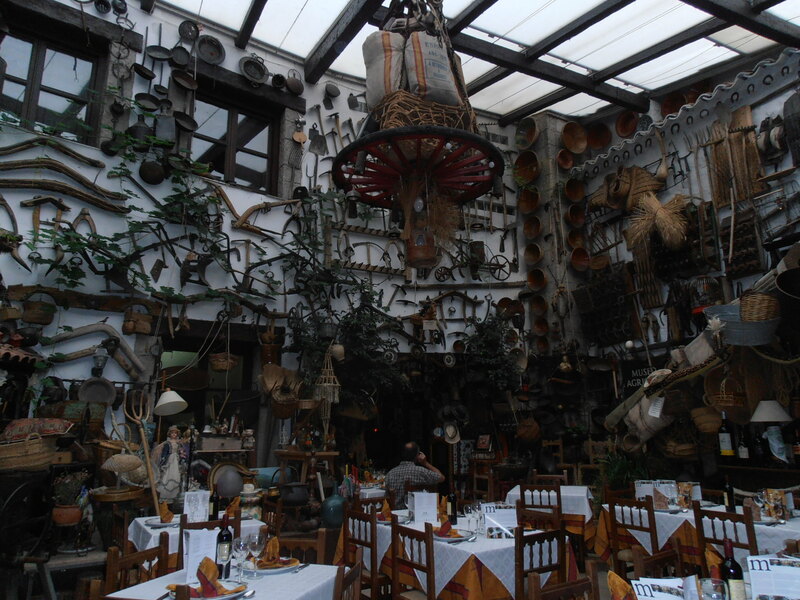 The huge covered-patio restaurant, also stuffed full has a Moorish oven to roast local meat in the corner and suspended cart wheels above. 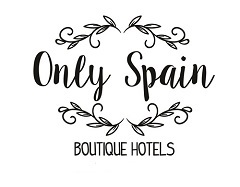 If you like antiques, bric-a-bric and the past era you’ll love the olde worlde charm of this quirky inn.